Xperia Z4v has a general score of 8.91, which is a bit better than Xperia Z3's 8.76 global score. Both phones in this review include Android OS, but Xperia Z4v has a more recent 5.1 version and Xperia Z3 has Android 4.4.4, so it gives you a lot of extra features and performance optimizations. The Xperia Z4v construction is newer, a bit thinner and a little lighter than Xperia Z3. The Xperia Z3 has a slightly better looking display than Xperia Z4v, although it has a lot lower resolution of 1920 x 1080 pixels and a just a bit lower pixel number in each display inch, they both have a screen of the same size. Xperia Z4v has just a little better hardware performance than Xperia Z3, and although they both have 3 GB of RAM memory, the Xperia Z4v also has a better graphics processor running at 600 MHz and a higher number of cores (but slower). Xperia Z3 counts with a way bigger storage to install games and applications than Sony Xperia Z4v. They have an external memory slot that holds up to 128 GB and exactly the same internal storage capacity. The Xperia Z3 and the Xperia Z4v both have similar cameras, both have a camera in the back with a 20.7 MP resolution, the same video quality, a same size back-facing camera sensor, the same video frame rate and a F2 aperture. The Sony Xperia Z3 has just a bit longer battery duration than Sony Xperia Z4v, because it has a 3200mAh battery size instead of 3000mAh. 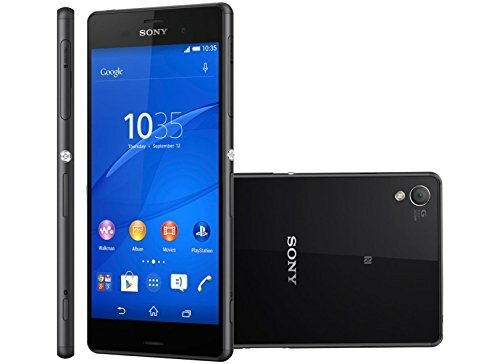 The Sony Xperia Z4v not only is the best phones between the ones we are comparing here, but it's also by far the cheapest, which makes it an obvious call.